I love collecting vintage items and antiques... but since I live in NYC, I have very little space to keep them. 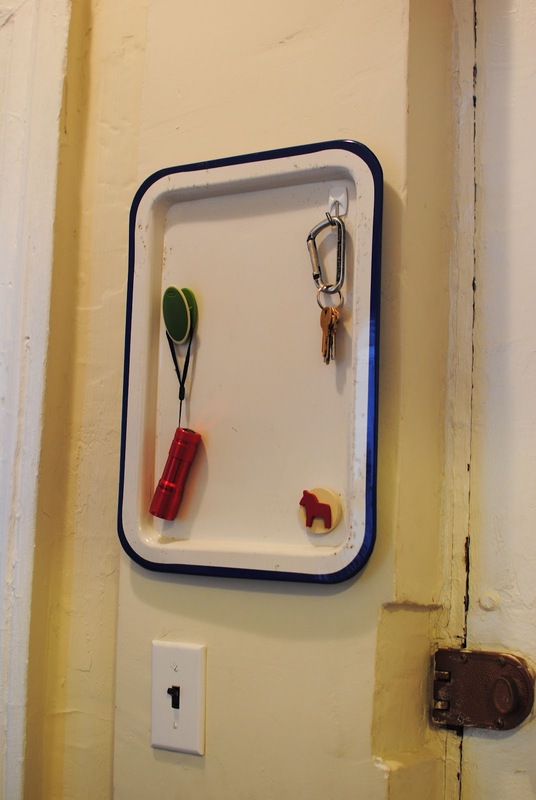 With that in mind, I try to repurpose my found treasures whenever possible, which is how I came up with this Vintage Pan Memo Board. 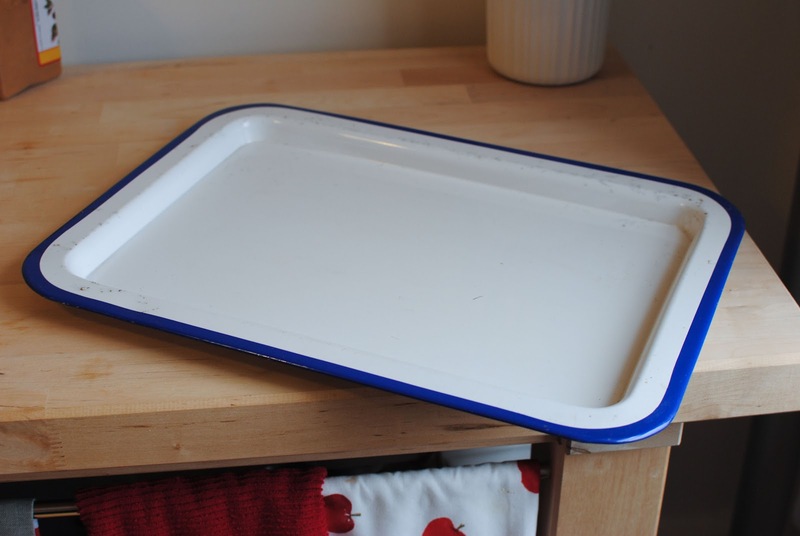 Here is the awesome pan that instigated the whole project: it's this great, enamelware pan with a blue rim... so pretty! 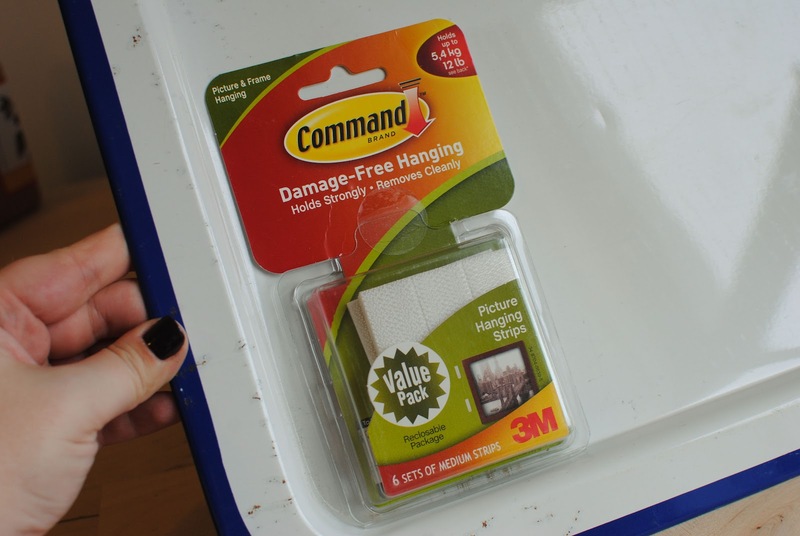 This project was insanely easy, thanks to 3M's Command Strips. 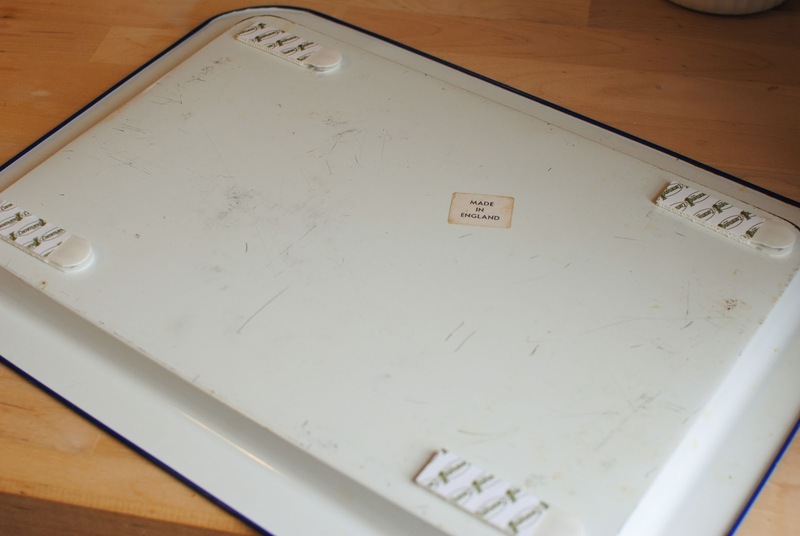 I used 4 pairs of heavy-duty strips and applied them to the back of the pan. Following the directions on the package, I applied my pan to the wall, where it has been every since! I decided to put the pan just next to my front door where, thanks to come magnets, I can hang my keys, a flashlight, and other important things I might need. 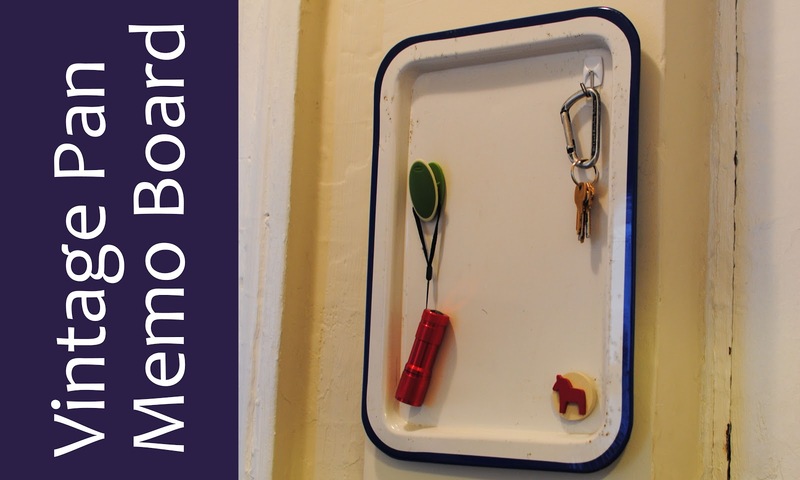 So there you have it- a very easy way to transform a pan into a memo board!